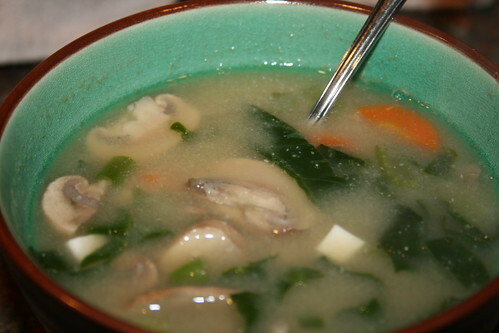 Miso soup is an obvious choice for the addition of okara. And as long as you get the water-to-miso ratio right, it's pretty hard to mess up. Feel free to play around with the following recipe. You might like to add additional vegetables, or increase the proportions of the vegetables that are called for. The recipe also makes a lot of soup, so you might want to cut it in half, too. Variation: Thinly sliced radishes also go great in miso soup. 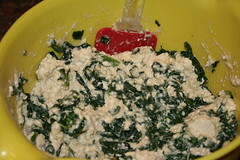 Plus, their greens are edible and can be chopped up and thrown into the mix along with the spinach. 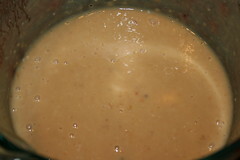 and blend the miso into the water until there are no lumps left. and stir into the soup. Note: What size cubes should the tofu be cut into? Whatever size you want them to be when you eat them. When the mixture is heated through, the miso soup is ready to serve. 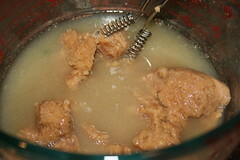 Make sure you give it a good stir before ladling it into bowls -- the miso and okara tend to settle to the bottom. 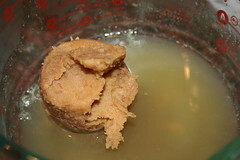 Note: A widespread claim about miso is that it has nutritive properties that disappear once the miso is boiled. I am skeptical of this claim, but on the other hand, it doesn't take much effort to make sure the soup doesn't boil once the miso is added in, so what the heck. Use this information as you see fit. Verdict: I think this tastes great, although I wish I had added another carrot or two, as well as additional tofu. (I was working with what I had on hand, though.) I also think the soup could have withstood even more okara. The many photographs I tried to take of the chili raised the question: Is it possible to take an appetizing picture of chili? 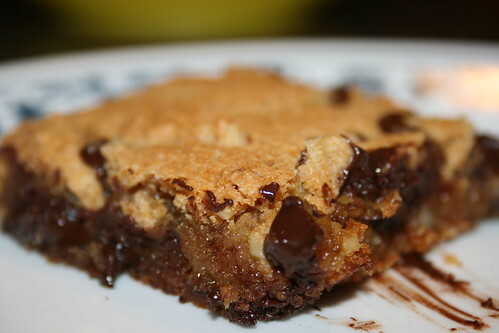 This is the best one of the batch, and based on the picture alone, I wouldn't eat that! But believe me ... It was good. and cover with water. 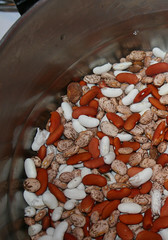 Allow to soak for eight hours, or use the "quick-soak method" (in which you bring contents of pot to a boil, and then turn off the heat and leave covered for several hours). Drain the beans through a colander, saving the water. There are some who say that reusing the soak water gives rise to flatulence, but I have experienced no evidence of this. Plus, there is flavor in that water. I say reuse it, but throw it away if you must. and sautee vegetables together until lightly browned. Then add vegetables to the chili pot, which is probably boiling right about now. 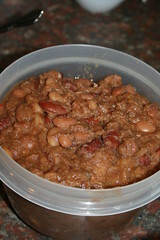 Stir contents together, reduce heat to low, cover pot, and simmer for about 2 1/2 hours, or until beans are soft and tender. Stir occasionally, to make sure beans aren't sticking to the bottom of the pot. Note: Poblano peppers are also called pasilla peppers. When they are dried, they are called ancho chilis, but I'm using fresh peppers. and mix contents of pot thoroughly. 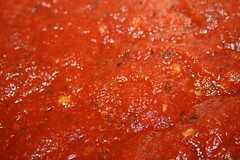 Variation: I meant to add tomato paste to this concoction as well, but when I opened my pantry I found that I had none! Oops. Luckily, the chili tasted fine without it; however, if you want tomato paste, I would recommend first blending it with the 1/4 cup of soy sauce before adding it to the chili. At this point, your chili is ready to eat (after you remove the bay leaf, of course). If it's too liquidy you might want to boil it down a bit, stirring often. 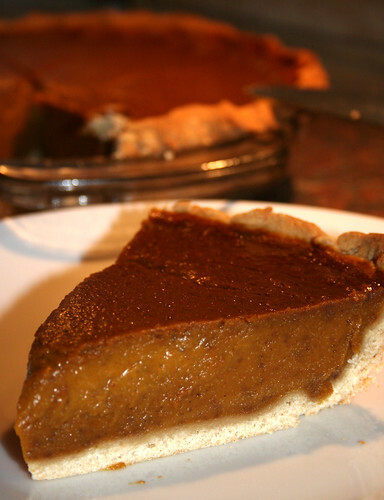 Tastes great with cornbread or corn muffins. Verdict: Despite the lack of tomato paste, I think this had a really nice, rich flavor. Even though it tasted good, the okara made it look kind of weird. So if looks are important to you, you might want to try putting less than a cup of okara into the chili. The okara thickened the chili nicely, but a cup of the stuff was kind of visually overt. My mom once told me that if you change just one aspect of a recipe, you can claim it as your own, even if you clearly ripped it off from the copyright holder. I know I shouldn't take legal advice from a 20-year-old memory of my mother, who is not qualified to dispense legal advice in any case, but I feel compelled to point this out. Why? Because even though I changed many aspects of this recipe, I still feel like I clearly ripped it off. 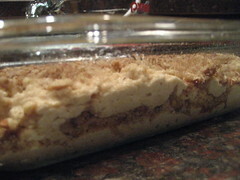 The recipe in question is the Sour Cream Streusel Coffee Cake from Vegan Vittles. Vegan Vittles was my first vegan cookbook, and for a long time it was my only cookbook, because I got it back in the mid-'90s, before veganism got taken over by the foodies and their flush of ornate cookbooks. Not that I mind this flush of cookbooks, but although my copy of Vegan Vittles has almost completely fallen apart by now, it remains one of my favorites. I based the below coffee cake recipe on a formula from this book, swapping out okara for the sour cream and amping up the spices, along with a few other minor changes. Preheat your oven to 350 degrees Fahrenheit. Lightly spray an 8x8-inch pan with oil. and set aside. 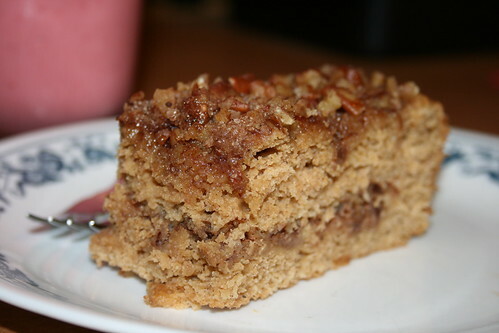 This is your streusel topping. and mix thoroughly. Set aside. until all ingredients are thoroughly incorporated. 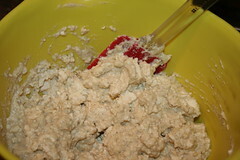 Add the wet ingredients to the dry ingredients, and mix thoroughly. 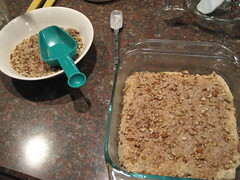 Put one half of the batter into the square baking pan, and sprinkle half of the streusel topping evenly over the surface. 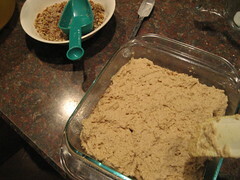 Scrape the rest of the batter into the pan and gently spread it out over the streusel, being careful not to disturb the streusel too much. 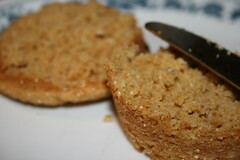 Sprinkle the rest of the streusel evenly onto the surface of the cake. Bake at 350 degrees Fahrenheit for 40 minutes. Verdict: This was almost too easy. 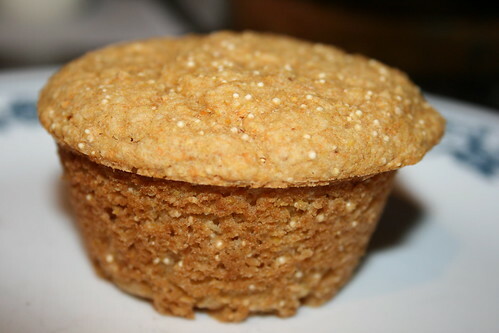 The only modification I'd want to make for next time is to amp those spices up even more, perhaps by putting them in the batter as well as in the streusel itself. 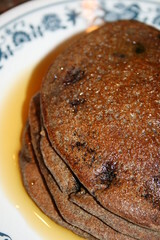 Years ago, when I first started trying to figure out what to do with okara, pancakes were one of my first projects. I veganized the pancake recipe from The Book of Tofu, with good results. However, recently I was intrigued to learn that buckwheat is actually not a grain but a seed, and apparently contains all eight essential amino acids (a rarity in the plant world). The nutritional properties of buckwheat, along with its distinctive flavor, are enough to convince me to incorporate it more into my cooking. That, and I had some applesauce to use up. 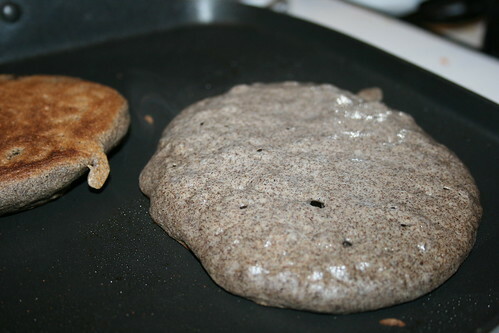 Hence, buckwheat pancakes ... with applesauce. This recipe will yield about 15 pancakes. Heat a nonstick pan or lightly oiled griddle on medium heat. and whisk thoroughly until all ingredients are incorporated. 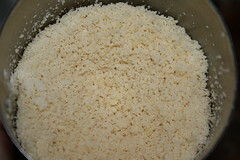 Add the wet ingredients to the dry ingredients and stir together until just combined. Some lumps are OK.
To see if the pan or griddle is hot enough, flick some water droplets on it. If it sizzles, the pan or griddle is ready to go. Pour about 1/4 cup of batter on the surface for each pancake. 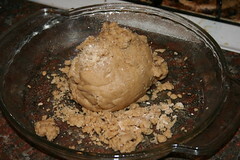 The batter will start to bubble. When the bubbling starts to subside, that's about when the pancake should be flipped. Verdict: Fifteen pancakes were way too many for the two members of this household, so the next time I make these I'll be halving the recipe. 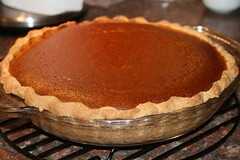 However, if I halve it, I'll only be getting rid of a paltry 2 Tablespoons of okara. 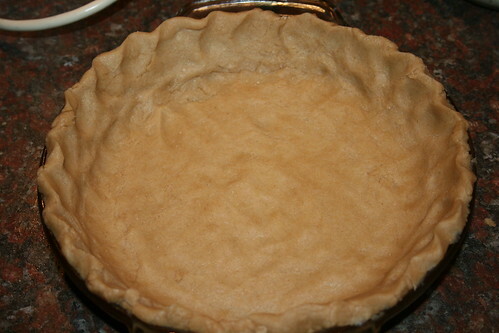 In that case, I might rework this recipe so that the ratio of okara to the rest of the batter is less timid. First, a caveat: Since the wetness of okara varies from batch to batch and person to person, this recipe might require some tweaking. However, it shouldn't be tricky tweaking. 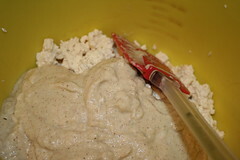 If the okara is wetter than the masa mixture, then more masa flour will have to be added to compensate. If the okara is dryer, then more water will need to be incorporated into the mixture. This shouldn't be a huge pain -- at least it wasn't for me! 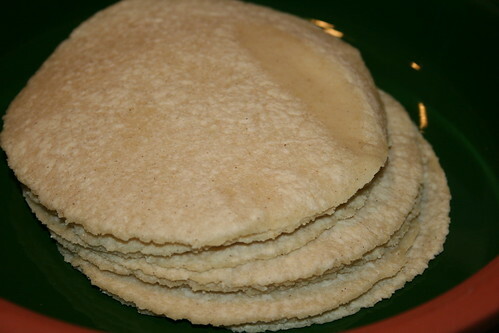 The tortillas that resulted from my first tortilla-centered okara experiment tasted great -- just like a corn tortilla should. 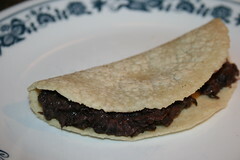 I couldn't detect any weird aftertaste, and when I folded one of the tortillas around some leftover refried black beans, it made for a great snack. Here's the recipe that worked for me, with the okara I had on hand. It yielded 13 tortillas. Stir with a spoon until ingredients are well incorporated. 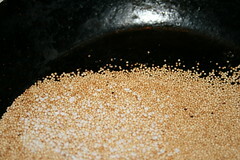 Incorporate okara into the masa mixture. At this point, you'll need to assess whether or not the mixture is good to go, or if you'll need to add more water or more masa flour. One way to test this is to go ahead and try to make a tortilla. 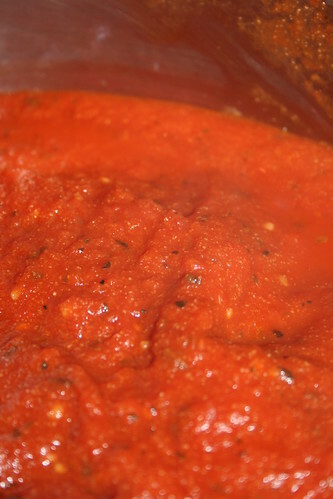 If it falls apart, then you might want to try adding water, one Tablespoon at a time. If it sticks to your rolling pin or tortilla press, you might want to try adding more flour, also one Tablespoon at a time. Be sure you reincorporate your failed tortilla back into the mixture. But once you have an uncooked tortilla that doesn't fall apart or stick to the plastic, slap that puppy down on a hot grill or pan. (I use a non-stick pan.) Cook at medium-high heat for a minute or so; flip over and cook for another 30 seconds or so. 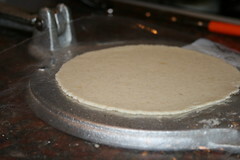 Feel your tortilla -- is it nice and flexible? Or does it crack when you try to bend it? If it's not flexible enough to fold over your hand, then you should try cooking the tortillas for a shorter period of time. An overcooked tortilla that cracks when you try to make a taco with it is no fun. Store in a specialized tortilla holder or in a resealable plastic bag. Eat them within a day or two or freeze them. Use them for tacos, taquitos, tostadas, enchiladas, tortilla soup, fry them up to make chips, whatever. 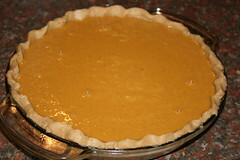 Since I was experimenting with this recipe, I scaled it down some. 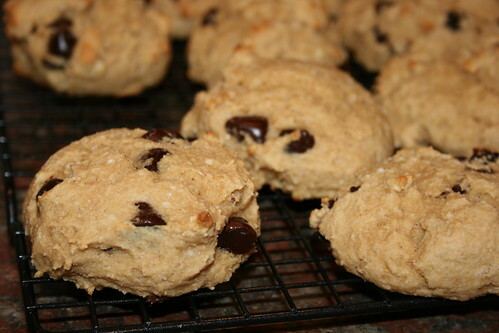 Instead of making the usual two or three dozen cookies, this recipe should yield about 18 cookies. 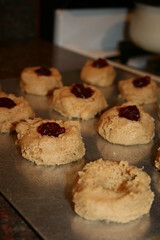 Even though this was only my first attempt at making okara-peanut-butter cookies, I think they came out wonderfully! Preheat an oven to 325 degrees Fahrenheit. 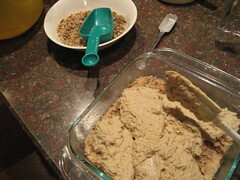 Mix dry ingredients thoroughly and then set aside. Blend liquid ingredients until thoroughly mixed and creamy. Mixture will be very stiff. 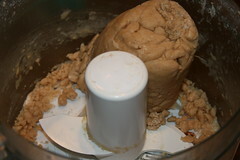 Scrape out of blender and add to dry ingredients. 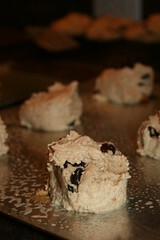 Once the batter is well mixed, place golf-ball-sized balls of dough onto a baking sheet sprayed with oil. 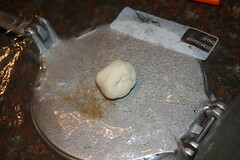 Twelve balls of dough should be arranged evenly on one baking sheet, spaced about an inch apart. 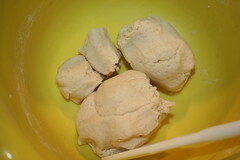 Gently flatten each ball of dough a bit, and then make an indentation in each one with your finger. 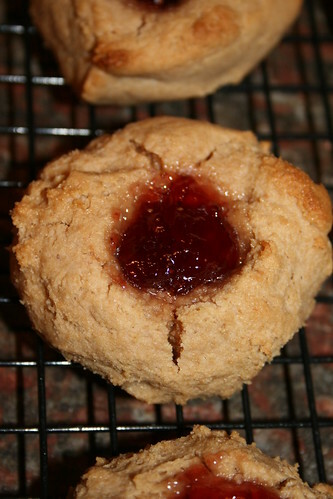 into the indentation of each cookie, creating a little mound of fruit preserves in the middle of each cookie. 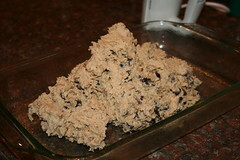 Pictured above: This was my first batch of cookies as I was readying them for the oven. I did not flatten this batch prior to baking. 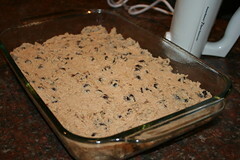 They didn't spread out much while cooking, so for my second batch I flattened the cookies down a bit before baking. Bake for 22 minutes. Remove from oven and cool on a wire rack. Verdict: This is a very chewy and dense cookie, and it might not be sweet enough for some people. I, however, thought they were great! Even though I like the end result, in the future I might experiment with adding more liquid, because the dough was irritatingly stiff and annoying to work with. As my soybeans soak, allow me to describe my project: the Okara Project. For nearly two years now, my household has been using a soymilk machine to produce our own soymilk. We do this both to save money and to cut down on the waste created by the milk cartons. The process is simple: First, you soak soybeans in water. Then you put them into the machine and let modern technology do your work for you. Penultimately, you strain the soybean pulp from the milk. Lastly, you clean out the soymilk machine. The pulp that is separated from the milk is called okara. 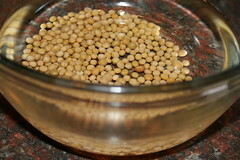 It is high in dietary plant fiber as well as protein. Although it is apparently a common cooking ingredient in Japanese cuisine, for a corn-fed American girl such as myself, it remains a constant source of befuddlement. Ninety percent of the time, it ends up on the top of my compost heap. When it comes to using it in my own cooking, I am at a loss. This is a shame. I fork over money for organic soybeans and throw the bulk of them away, saving only what I extract as part of the soymilk-making process. I've been able to find a few recipes here and there, some in The Book of Tofu by Shurtleff and Aoyagi, some on the Internet. Very few of these recipes were "keepers." Starting today, I will throw away as little okara as possible, and will try to come up with recipes myself. This process of trial and error will be documented in this blog, where I will share all of my successes and failures.